CassaStar Available as an Audio Book! I got the news from my publisher last Wednesday afternoon – CassaStar is now available as an audio book! It is really wild to hear someone read my book. The narrator did a great job with both story and getting the names right. (If you’ve ever wondered how Ernx is pronounced, he nails it.) And of course, nothing highlights mistakes or growth as a writer more than hearing the story. It’s all good though. To celebrate, I have two copies of CassaStar on audio to give away! I remember the first time I sat in a room with other writers. I could finally talk to real people who did exactly what I enjoyed doing. Those were the pre-Internet days, so it was in-person meetings or nothing. Soon after, Windows 95 came out and everyone had a computer. I discovered the Internet not long after joining Romance Writers of America. There was no Facebook or Twitter but RWA had listservs. All day, you had these interesting posts coming into your email. I learned so much in those early years but most importantly, I felt like I was a part of a community. There are so many options for writers now, it can be difficult to figure out exactly where you fit. In the blogosphere, there are thousands of aspiring writers but how do you find them? One of the best things an aspiring novelist can do is join the Insecure Writers Support Group, which requires you to post the first Wednesday of every month. Browse the sign-up list and read other blogs on that day and chances are, at least a few aspiring writers will check out your blog, as well. If you write in a specific genre, you may find forums and Facebook groups specific to that industry. For children’s writers, there’s a closed group called Children’s Authors and Illustrators on Facebook. Romance writers will find Romance Writers, Readers, Bloggers, & Reviewers, which is also on Facebook. If you don’t see a group specific to your interests, ask around on Twitter and someone will likely have a suggestion. But for those starting out, I can’t speak highly enough about the in-person experience. Check Meetup.com for a writer’s group near you. Also join professional organizations that represent your genre (RWA, SCBWI, Mystery Writers of America) and check for local chapters that meet. It may take a while to find your group but once you do, you’ll be well on your way to being a happy writer. You’ll be amazed how much better it feels to write when you can vent your frustrations to someone who understands. 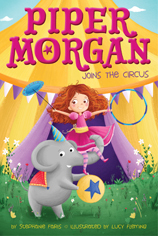 Stephanie Faris is celebrating the release of Piper Morgan Joins the Circus and Piper Morgan in Charge! Not a perfect film, but a lot of fun. It begins after the death of Superman and group of criminals are pulled together as a desperate line of defense. Will Smith heads up the gang as Deadshot, providing a strong performance and a human connection. So does Margot Robbie as Harley Quinn, adding a bold and touching quality to the crazy. Jared Leto takes the Joker role and makes it his own. And the Enchantress is one creepy character. Lots of action and a much lighter tone than Batman v Superman makes for a fun ride. While the Suicide Squad is comprised of anti-hero villains, this isn’t Deadpool – like the comic, it’s very much PG-13. Where the film does suffer is its scattershot editing. I have a feeling the director’s cut of this one will also be better. A little uneven but quirky and quite fun. Unlike ID: Resurgence, I do want to see this one again! Recommended. Today’s Themes That Rocked the Challenge feature at the A to Z Blog is Cherdo on the Flipside and her awesome theme of Favorite Characters, Favorite Lines. Thanks to everyone who participated in the IWSG last week and my awesome co-hosts. I can’t get to everyone, but I do try to visit those who visit me and the new members. September 7 is the next post date and we’ll be announcing the IWSG Anthology Contest details! Do you have a support network for your writing? Have you seen Suicide Squad? Ready for the IWSG Anthology Contest announcement? Are your books in audio? And who wants to hear how Ernx is pronounced in CassaStar…? 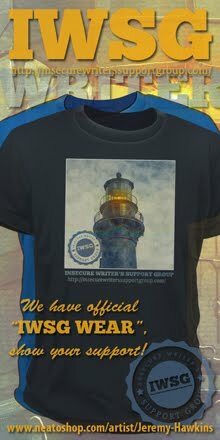 Looking forward to the ISWG Anthology news, It was a great day for us all when you came up with this monthly feature. Even I can't cope with audiobooks - they are the best sleeping pill for me I can get - it is good step to get new Cassa fans. In Germany we have to wait until 18th of August until Suicide Squad will hit the cinemas. The negative ratings does not hinder people to enjoy the film. In fact I would say that will have an impact on trust into sites like Rotten Tomatoes. Good Morning Alex, Congratulations on the audio-book. In my head, I sort of have a feel for their voices and names. I wonder if the audio would intensify the voice? It would be cool to listen to on my commute. I thought I read that the genre for the IWSG Anthology Contest was voted on and Fantasy won. Is that correct? Suicide Squad was okay, but I think it suffered mainly due to raised expectations. I am glad it opened big; hopefully it has enough lasting appeal to turn a profit. Congrats on the audio, Alex. Audios are awesome in my book as they allow you to 'read' and work at the same time. :) I had been wondering about Suicide Squad and almost saw it last night. I'll have to give it a go. Congrats to Stephanie on her book releases, as well as GB. Alex--That's awesome!!! Getting an audiobook made of one of my books is on my bucket list. That's something you can check off now! Congratulations on the audiobook, Alex! Isn't it amazing how fast the production process goes for that? RWA was online wayyy before mystery writers were even thinking about computers. Like Stephanie, I used RWA as a source for info and resources back in the 90s. Edi, go and enjoy it. Thanks, Truedessa. Yes, it's fantasy, and we'll announce the theme next month. Michael, hopefully enough they make another one. Stephanie, it's off my list now! Elizabeth, yes. I guess they're already working on CassaFire. Congrats on the audio book! Saw In the Woods/Into the Woods (??) with Ellen Page and Evan Rachel Wood this weekend - okay overall but slooooow. A different sort of take on the end of the world. Alex - congrats to you on the audio book release! It must be so strange to hear your book read out loud. Stephanie - congrats on the release of your Piper books and thanks for the insights on the importance of writing networks. So excited to see Stephanie and her series here. Wishing her all the best! Great advice for writers. Congratulations on the audio book, Alex! It *sounds* awesome! I definitely have a network, and all of the lovely people I work with I've met through the blog-o-sphere. 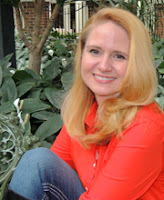 I used to belong to the Online Writing Workshop for Science Fiction, Fantasy, and Horror. Some of my crit partners there became friends. I still belong to Broad Universe, which promotes women writers of science fiction, fantasy, and horror. It's more about promotion and networking than learning the nuts and bolts of writing, but it's still useful. Congratulations on the audiobook! And yay for Stephanie! A great article about connecting to other writers. I know so many supportive writers. :) I didn't see Suicide Squad, but I did see the new Ghostbusters. I didn't much like it. It couldn't top the original! P.S. The Thing That Turned Me isn't out yet. I haven't heard anything either. I had my post pre-scheduled expecting it to be out on the 5th. Thanks for the review of S-Squad. I have been in love with Margot Robbie since Pan Am. I don't trust user reviews and ratings, preferring to make up my own mind. I have seen vast differences between critic and fan ratings. The theory that companies hire haters to attack the competition makes sense and is a troubling sign of the times. Congratulations Alex! I listen to audio books on trips. Maybe I need to take a vacation so I can listen to your book instead of reading it--or maybe I need to buy both! Madeline, glad you enjoy it. Haven't seen that film. Bob, getting the names right was my biggest concern. Christine, I didn't think it could top the original. And thanks for letting me know about the book. Jess—Thank you! Hopefully it helps. Bish—Oh, bloggy friends are for sure the best! Sandra—Promotional groups are great, but I know what you mean. Those early friendships are somehow stronger. I think because everyone’s learning? Christine—It always amazes me how warm and supportive the writing community is. Valerie—Thank you! Maybe you should write a murder mystery with all of those ideas! Congrats on the audio book indeed. I don't know if Disney would waste their time or money paying reviewers. DC seems to be their own worst enemy at times. Now I can see Disney paying for favorable reviews though. you never know either way I guess. Good that it is enjoyable, that's what matters. My daughter lives and dies with Rotten Tomatoes reviews. It'll be interesting to see if I can get her to go see Suicide Squad. Congrats on the audio book. Congratulations on your audio book. I bet it is fun listening to someone tell your story. Will take a look. Looking forward to the results of the IWSG Anthology Contest. Haven't seen the movie, which is no surprise. 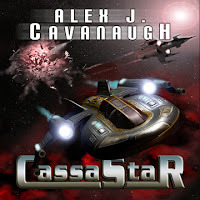 Congratulations on your audio release of CassaStar, Alex! That would be a thrill, if it were me!!! Focus on the growth ~ You came a long way as a writer as you wrote that series! Great article, Stephanie. Right now my only writing support group is the IWSG, which is awesome. Right now I am traveling a lot, so I'm not ready to join a local group ~ maybe a conference or a retreat though. Congrats on and good luck with your new releases! I joined ISWG when it first began and it's been so very helpful. It really works for me to have an online support group because I don't enjoy group meetings for the most part. Congrats, Stephanie. And Hi, Alex. Fundy—Traveling can make it tough. Conferences and retreats are GREAT! You learn so much. Chances are you’ll be passing through a town eventually where one is happening. Karen—I’m not much for group meetings, either. It helped that I was part of forming our local group back then. There were only a few of us and it grew. I had that core group, though, and that helped me feel more comfortable than I would have felt walking into a room of strangers. Beth—Thank you! I’m bummed we don’t share a release day anymore, but yours is just around the corner! Congratulations on the the audio!! It's nice to know someone successful doing what you love. very cool to have audio books - congrats. Kudos to Stephanie on her new series and this column. Support truly does help in the writing world. I saw Bad Moms this weekend - laugh out loud hilarious. Congratulations on the audiobook. That's fantastic ! Interesting story too, how things come to be. Happy week for you! Think it's wonderful Cassa Star is on audio although I personally prefer to read rather than listen although I used to listen whilst using my treadmill. Don't think I want to see Suicide Squad - Superman dead, oh no!! 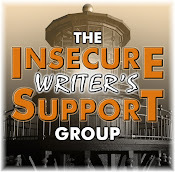 I have three great support groups for my writing and IWSG is the best. 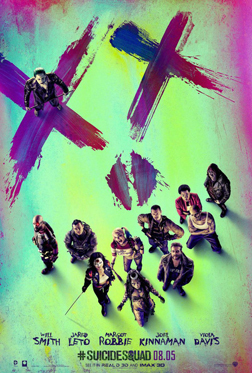 Haven't seen Suicide Squad but I've heard about the down-voting. I know fans do that for TV shows when they don't like where the story is going. Congrats on the audio book. That's exciting. I've been wanting to add some audio books to my library. I'll try to add yours! Ken, tell her they're all a lie. Fundy, thanks, and that's true. Karen, glad I started it then. Joanne, I've been busy watching! Jo, sorry, I just gave away the ending to Batman v Superman, didn't I? Good luck with this launch, Stephanie. I'm excited to be part of it. I'm not sure if any of your children's books address internet safety, but if they do, I'd be happy to feature it on my other blog, Ask a Tech Teacher. Just let me know. that is so exciting, Alex~! Congratulations! I haven't seen Suicide Squad yet, but I've convinced my husband to drive into Prince tomorrow and watch the 3:45 showing of Jason Bourne. We haven't been to a theatre in years. Thanks for the review of Suicide Squad, Alex! Congrats on the audio books, Alex. So cool. I saw Suicide Squad this weekend and really enjoyed it. Like you said, not perfect, but it was good. Loved the characters. Congrats, Stephanie on your books. I am so excited to read them. Best of luck. Congrats on the audio book!!! Suicide Squad looks neat. The characters are unique, it really does seem like a lot of fun. Still looking forward to seeing Suicide Squad! The Nolan Batman trilogy received lots of critical praise so I put most blame for low ratings in DC and WB's camp. Marvel went through their bad times already with awful movies like Elektra. Even the Thor movies are considered lower tier in comparison to most of the current lineup of movies. Also if the critics are right and like B V S, Suicide Squad still has crazy editing issues? Then critics are not going to be forgiving of the same mistakes being made twice. Critics are often like teachers, their grades are meant to teach you to do better next time. Personally I'm excited to see Suicide Squad. I have known a lot of DC characters since childhood and it's exciting seeing them adapted for the big screen. Stephanie gave some great advice. The writing community is an amazing organism to be a part of. Congratulations on the audiobook! Perhaps it'll eventually be featured in AudioFile magazine. My Creative Writing Club at my first high school was a very supportive group, though as an adult, I understand my parents' criticisms of how it only said positive things and didn't really offer any constructive critiques of how to improve our writing. A lot of the stuff I shared with them definitely needed some extensive revising! My current local writers' group is much more realistic and mature about offering praise, support, and constructive feedback. Joylene, you need to go! Birgit, very good! That is how it's pronounced. Sheena-kay, Suicide Squad's editing issues were different though. Hopefully they get it right with Wonder Woman. What a wonderful thing to do. Showcasing other authors work rocks. I'm a fan of Stephanie's. Theres so much competition nowadays to grab audiences with the latest and greatest and fastest buzz. Its exciting for us as fans making comparisons enjoying fun films with lots of twists. Congratulations on your audio Cassastar Alex. It must've been goose-bump inducing to hear your story in audiobook. Congratulations, Alex! Best of sales for your audiobook! It is rather eerie and fun to hear your own book narrated, isn't it? Not just a unique read an audio book certainly is an attraction. It is such satisfaction and fun to hear someone reads one's book. Congrats Alex! Stephanie is an exciting take to discover.Real nice to be sharing a lot of pointers for writers! Congrats on the audiobook, Alex! I'm glad to hear Suicide Squad is recommended. You're just full of good news! Congrats to you, Stephanie, Cherdo and GB Miller. I do, I want to hear how Ernx is pronounced! I bet it is indeed a thrill to hear your book being read. Always an uplifting post, Alex. Thanks! Hey, that's badass! Congratulations! So as dumb as it sounds, everything I've ever written I read aloud to my wife. I can hear how it sounds out loud, and she just loves the experience. We both win. I always pronounced it in my head as Air-encks, but I'm also an idiot, so I assume I'm wrong. And as for Suicide Squad, I'm no conspiracy theorist, but you'd be surprised what people are willing to do to keep others down. One of my favorite musicians has a great story about how his album came out the same day as another famous artist's, and he has proof that the record label and the artist specifically told fans to downvote and leave bad reviews on this guy's album just to keep it down. Suicide squad. Still think I'll see it but I have so many movies to watch before that one, including Superman vs Batman. Please you like your audio book. I was a member of RWA when I first began because there wasn't anything else. I'm still not sure there are any groups for YA or NA. Congrats on the audio book, Alex! How awesome! And I love the covers for Stephanie's books. They are so cute. Good advice too. I do have a writers group. We met yesterday, as a matter of fact. Don't professional critics always hate things more than the general population? That's true for most things. They'll rail against something while the rest of us like the thing just fine. I think it has to do with being more educated as to what makes something "good". Lately, I find myself more critical of books that don't quite make the grade. I see flaws in writing that I didn't recognize when I was just a reader. I know more about craft and what makes a story sing. I think the same is true of movie critics. They've studied the form. They know what makes a better film. They've seen a lot of good movies as well as a lot of horrible ones. So, when a popular property comes out, they're examining if it's a good film. And they're going to note flaws that most of us wouldn't notice. But, the rest of the population is just so happy that their favorite thing is out there. They're more willing to forgive flubs and missteps because it's more for the experience. So, things that would drive a critic mad won't even register with the average moviegoer. Is Disney paying people to tank the movies? It's possible. But on the basis of those review differentials? That isn't compelling evidence for me. I just read through all the comments above...THANK YOU, everyone! I'm surprised how many fellow RWA-ers (and former RWA-ers) there are here. It's a great group. I loved that they met locally each month. SCBWI doesn't do that here. But someone reminded me that I'm thinking of the 1990s and that everything has changed now because of the Internet, so that could very well be the difference! Congratulations on the audiobook Alex, it must be great to hear someone read your words aloud. Some good advice on support networks, Stephanie. What would we do without our IWSG here! Wow! Audio! That's wonderful, Alex. I would love to hear one of my stories as an audio book. That must be cool. Haven't seen Suicide Squad, but it sounds like a good concept. Villains are usually more interesting than heros. I loved the last ISWG Anthology. I am so looking forward to the next. Congrats on CassaStar on Audio, Alex!!!! I love Stephanie and her blog is entertaining just like yours. I need to find an authors group nearby, so I can relate. My husband does not relate. Not one bit! Congrats on your audio book. My books aren't in audio. They'd have to sell a ton more before they're even considered. At least that's my assumption. Congratulations on that audio book. I can only imagine how peculiar it would be to hear someone recite one of my novels. Great news about the audiobook! Honestly, I'm not sure if they'd have to pay for bad reviews of Suicide Squad. I've seen plenty of people with problems with it. But it seems that it's still fun as a popcorn movie, so maybe that's why user reviews are so much higher. Critics tend to pay more attention to things like story than the average viewer does. There's no conspiracy. My oldest son hated Suicide Squad. He said it's the worst movie he has ever seen. And he -likes- bad movies. Seriously, all the movies that I don't like but you do, he likes all of those, too. Congrats on your audio book coming out! I really enjoyed Stephanie's guest post. I love Insecure Writer's group and the SCBWI forums for writerly support, but I also try to attend in-person SCBWI events whenever I can. Wow, it sounds crazy that Disney would resort to something like that. I lean toward thinking it's not true. If the fans like "Suicide Squad" that's the important thing no matter the reviewers say. Congratulations on hitting audiobook editions, Alex! That's fantastic. Did you get input on your narrator? And I'm glad Suicide Squad is at least some fun. Definitely something I'll wait to see on HBOGo. Congratulations on the audio book. I listen to books in my car all the time, but there is a bigger purpose to audio books. I don't have a writer group, but oh well. How exciting about the audio book! Congrats! Robyn, it was scary all right. Liz, we are more critical when we know. Then again, having viewed thousands upon thousands of films, I still know when to relax and just enjoy. Stacy, I'm fortunate mine did well. Andrew, he's as critical as you are. Love that your book is now in audio! I'll be sure to tell some of my disabled clients who are looking for great science fiction selections. Good for you and your audio book buddy. And I agree with you about Suicide Squad. From the reviews you would think it was a pile of crap but I enjoyed it. Much better than B v S. and I think over time this one will gain a cult following. I don't have a huge network beyond my blog community - but I've been thinking about how to work on that. Someday, I'll actually stand up from my thinking chair and get at it. I want to see Suicide Squaid . . . and I definitely need to get my books in audio. Congratulations!! I could've survived until Suicide Squad was available on Redbox, but my sister peer pressured me. Great advice, Stephanie! Online networking has certainly come a long way. Congrats on your audio book! That's so exciting. At least your publisher let you know--mine was a complete surprise. When I stumbled across it on Amazon, I thought it was a joke at first. Good to hear you enjoyed Suicide Squad. I couldn't squeeze in the time to go see it yet, but I'd love to. And a huge congrats on your audio book! Congrats on the good news about your first and thanks for the shout out for my book. In a completely unrelated matter, I left a nifty review of your 1st book yesterday (8/8). Heather, I don't get the hate. Cal, I agree. I think it will build steam. Of course, it did make a bunch of money this past weekend. Tyrean, so if the name isn't pronounced the way you think it is. JH, really? What a surprise. GB, you're welcome, and thanks! I'd like to see Suicide Squad. I haven't had luck with Meetup, but my local SCBWI critique group has been amazing. Congrats on the audio release. I have several support networks for my writing: a great critique group, Northern Colorado Writers, and Rocky Mountain Fiction Writers. And that's in addition to Mystery Writers of America and Rocky Mountain Mystery Writers of America plus Sisters in Crime and Sisters in Crime-Colorado. You can never have too many support groups in a business like this. Congrats on the audio books! Yes, I have my writer groups and there's nothing better. My son was forced by his gf to see Suicide Squad, and he came back with a shrug. Not bad. Not great. Guess, I'll be skipping that one until DVD. World of cool things happening this week... thanks for the solid on the Suicide Squad review, people seem to like it and the haters... well you know. Congratulations on the audio book! I've never had one for any of my books. You have a great publisher! Congratulations on the audio book! That's so exciting! I can't wait for the anthology contest announcement. I'm sure this talented group will produce some top notch stories! How cool to have your book on audio! That's one of the things on my to-do list. I'm a little hesitant, though, because I'm not sure how I'll feel about another person voicing my characters. I know how they sound to me in my head and I don't know if someone else could match that and whether or not it would bother me if they can't. I plan on picking up Suicide Squad on Netflix. Congrats to Stephanie on her new books! Looking forward to the anthology announcement! Yay for the IWSG! Next you'll tell me that Han Solo gets light-sabered and dropped off a walkway. Kidding. I saw Batman v Superman. I just hope everyone here saw the new Star Wars. Congratulations on the good news about the audiobook! I'm already with IWSG and I belong to SCBWI too. I will have to check out that private group Stephanie mentioned on FB for children's writers. I'm glad you did a review on Suicide Squad. I didn't know what it was about. It sounds like a fun movie. Congrats on the audio books, Alex! I heard the same thing about Suicide Squad. It's a lot of fun, but its getting a bad rap. Yay! Audiobook is so much easier for me, as I tend to absorb more when I hear it. Suicide Squad looks fun. I'll have to check it out! That is so cool that your book is now available as an audio book! Glad you're happy with how it turned out. 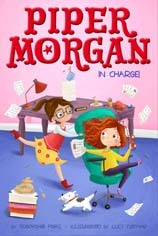 Stephanie's books have the cutest covers! Jeremy, it was a fun movie. Hart, I'll try not to steer you wrong. Lori, fortunately my publisher picked someone really good. Yay for audiobook! That's super exciting. I probably will wait till Suicide Squad's out on DVD to see it (or better yet, Netflix). Congratulations on your audiobook, Alex! Definitely enjoy the experience. Congratulations to Stephanie and GB Miller with their new releases. I'm actually looking forward to seeing Suicide Squad after reading your review. I kept hearing conflicting opinions about the movie. But the crazy Harley Quinn makes it look like a fun movie. Wow how wonderful about the audiobook! That had to be a thrill to listen to. Congratulations!! This is so exciting!! !--congratulations on your audiobook. I cannot imagine how that must feel, having your written words brought to life in that manner. A whole different thing. I used to act and I loved recording: my mother had spent my entire childhood saying "Lower your voice!". She didn't like squeaky little girls. Hahahah!!! Congratulations on the audio book and to the authors of the new releases. Some great writers out there!! Have a lovely week. How cool to hear your book. Very, very, neat. Congrats to Stephanie on her release! And to you, Alex, how exciting to have an audiobook to add to your list of accomplishments! Murees, she's the best part. Sorry for what, I'm sure, is my notable absence. My excuse, this time, is that I'm having a logistics nightmare in regards to an upcoming trip to Canada. Anyway, where was I? Oh yeah, well done to those amazing authors on their releases, as in book releases. An audio version of your book. That's totally awesome. Penny the Jack Russell dog and modest internet superstar, would have loved to narrate your book. Congratulations on the audio book. But...Superman is dead?!?! Why don't I know these things? I've heard the same thing about the Suicide Squad reviews. Rude much Disney? My friend saw it and said it was a good movie, not great, but worth seeing. Suicide Squad is not a good movie, but who cares? Tonnes of Oscar movies are hardly seen at all. Popcorn movies are not great art but they entertain the masses. I don't know why bad reviews upset people so much. It shouldn't stop you from enjoying the movie yourself, so why fret? Saw Suicide Squad.. I like it, but don't love it... it's better than Superman Vs Batman, but nowhere near as good as Guardians of the Galaxy. Congrats on getting an audiobook out! That is SO COOL! Congrats to Stephanie for writing more Piper books! An audiobook--how exciting! Congratulations on your latest accomplishment! Congrats on your audio book release, Alex. Stephanie is right, finding our support group is important. Congrats on your books, Stephanie! Congratulations on having CassaStar on Audio. Congratulations on the audio books, Alex! Awesome! You're really growing your brand...expanding in so many directions. Congrats to Stephanie. Her book covers are cute! Congratulations on the audio release. It's a great step in increasing your audience since a lot of folks either don't have the time to actually read or prefer not to. Congrats on the audio book. Stephanie rocks. Glad to hear you liked the movie more than I did. As for ID2... let's pretend that one doesn't even exist. Gary, I bet she would! Cool you are traveling to Canada soon. LD, sorry for the spoiler! Elsie, it's not perfect, but still fun. And thanks - it's exciting. Lexa, sorry for the spoiler! Your review of Suicide Squad is nearly exactly what my son "reported" when he saw it. I still wanna get out and see Jared Leto as Joker, just for the fun of it. Congrats on the audios for your books!!! !